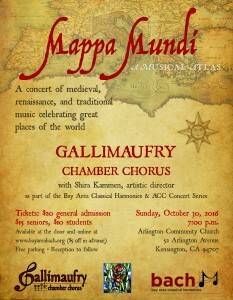 Please join BACH and ACC to a brand-new musical experience with GALLIMAUFRY. They are an ensemble of twenty-plus voices that sings mostly secular medieval and renaissance music, early texts set to new music, new arrangements of old tunes, and traditional music of various cultures celebrating great places of the world. 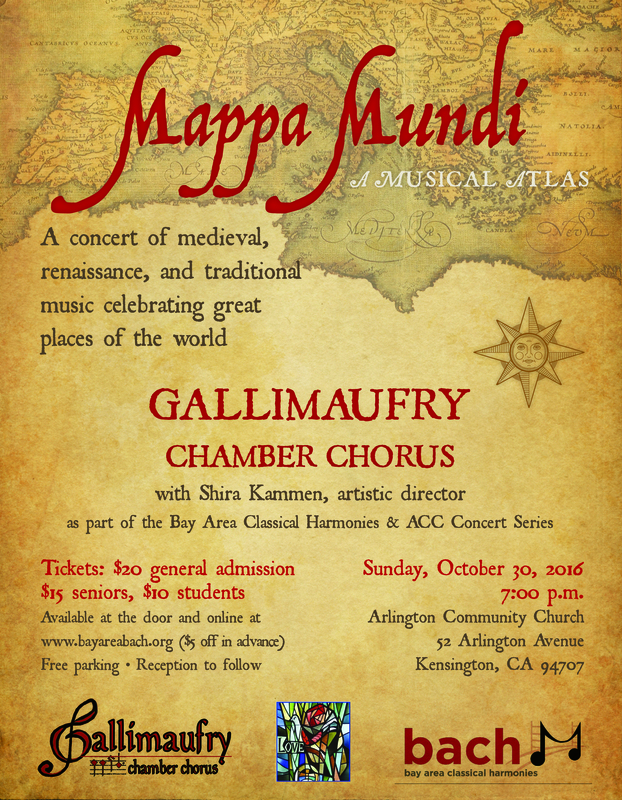 Gallimaufry presents a concert of mostly Medieval and Renaissance music associated with specific places – a musical travelogue, with compositions celebrating Venice, Florence, Innsbruck, Iceland, Constantinople and other far-flung destinations.